Assassin’s Creed franchise has a great success nowadays, and the developers decided to present to gamers new ways of the game’s world exploring. 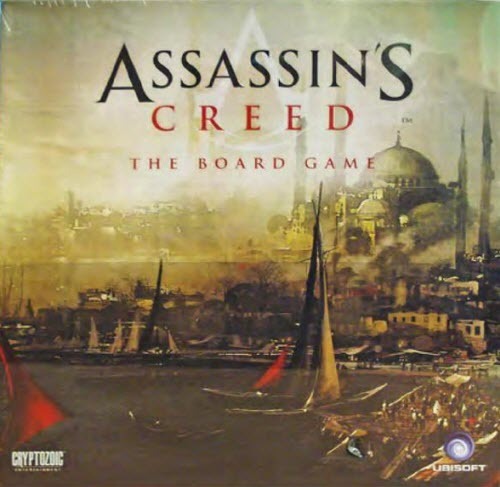 Recently Assassin’s Creed: The Board Game has been announced, but without full details yet. Assassin’s Creed: The Board Game will come to the shops this winter. Here you will be playing a role of an assassin, who is trying to find the treasures and hide from the guards. Also you will have to outrun your opponents. The board game’s plot will take place in beautiful ancient Constantinople. It will have unique world, but with the flavor of assassins’ adventures. If you are not familiar with the Assassin’s Creed franchise, but have Xbox Live Gold subscription, then we have another good news for you. Thus, during this year you will be able to download Assassin’s Creed 2 for free together with Halo 3 and other titles that will be announced later. And if you are a great fan of the upcoming Assassin’s Creed 4 game, you are able to get into its canvas, as we reported last week.